Ray J, the famous singer and TV personality who is also a thriving entrepreneur, recently made a deal that would make him conquer the ride-sharing industry. He agreed with Canadian-based LOOPShare to sell his Scoot-E-Bike brand in a deal reportedly worth high 7-figures, and he gets to remain as a consultant and brand ambassador for the company... and a shareholder of 19 million shares too! With the deal, the 38-year old will be riding the booming trend of electric scooters and ride-sharing apps where people can rent a scooter through an app, use it, and when they're done, leave it on the sidewalk for the next rider. What makes Scoot-E-Bike unique and competitive is that they provide users with a choice of three types of scooter models: traditional sit-down bike style, a stand-alone, and also a Vespa-like vehicle. 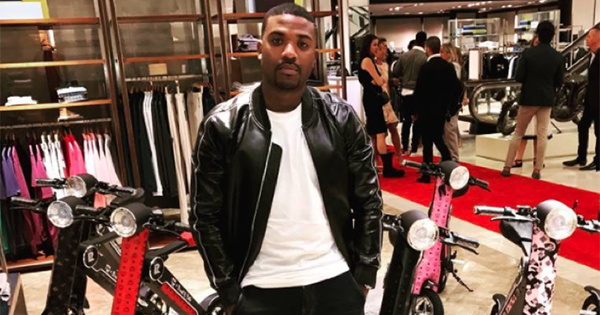 Several celebrities have helped Ray J in creating brand awareness for the Scoot-E-Bike. These include Snoop Dogg, Stephen Curry, P. Diddy, and his big sister, Brandy. Meanwhile, Ray J has also been hands-on with his own tech company Raycon Global, which reportedly rakes $2 to 3 million dollars in sales each month.